Home » Coffee Sock Review: Does It Really Work? Coffee Sock Review: Does It Really Work? The main question to answer in this Coffee Sock review: It is like as good as a coffee maker? Does it really work? The short answer: Like a charm. The longer answer is a little more complicated. First of all, what is the Coffee Sock? A handmade (in Austin, Texas) reusable filter made from certified organic cotton. They absorb some of the oils of the coffee, making it taste cleaner. Once it’s all worn out after about six months, it’s compostable. For the most part, you use it the way you’d use any paper filter. 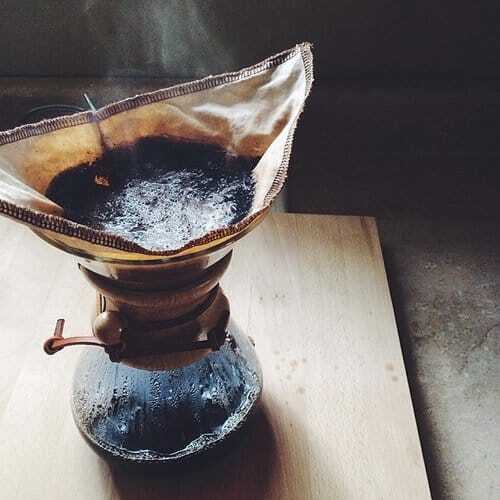 You have to make sure you get the right kind (and there are several) for your brewing method, whether you use an auto-drip brewer, Chemex, AeroPress, Kalita Wave coffee dripper, or mason jar (for cold brew). 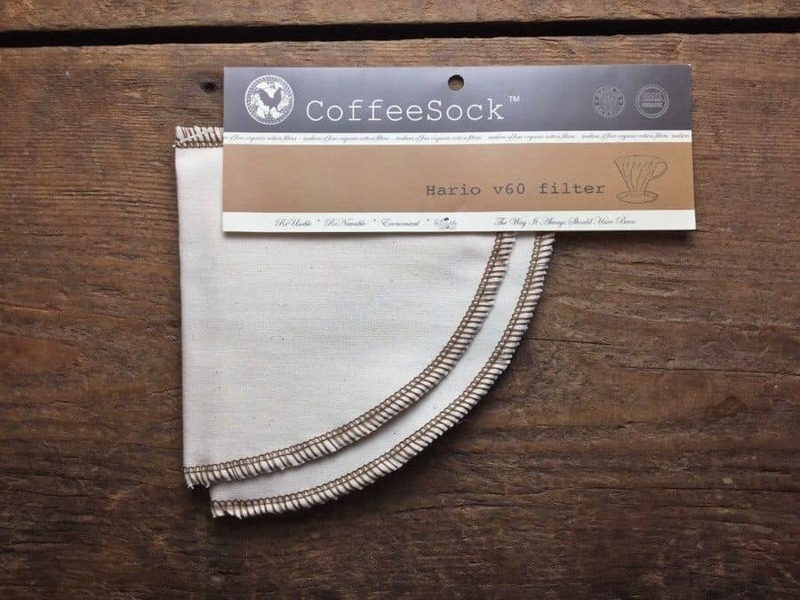 You insert the Coffee Sock just like any other filter and brew your coffee just the same. Before you use it the first time, you have to boil it for about 10 minutes, then rinse. Each type has its own set of instructions, but the kind I bought said to put the seam in the Chemex spout. Pour the coffee over the grounds as usual, then toss the grounds. Rinse the filter and hang it up to dry. The package says you should only have to boil them about every two months unless they’re contaminated by something in the kitchen, used with perishable foods, or blocked by coffee oil buildup. Other than that, it’s rinse, dry, and repeat. 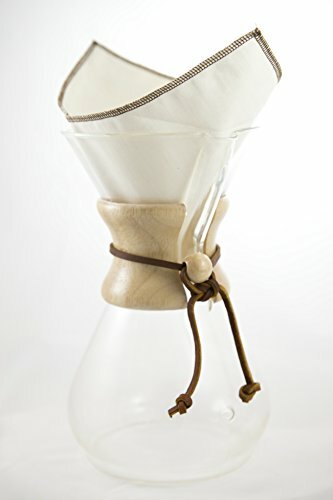 Because I usually review coffees using a Chemex, I decided to purchase the Coffee Sock made for the six- to- 13-cup Chemex (from Amazon). I was pleasantly surprised to find that I got not just one Coffee Sock, but two. I thought I was only buying one at the time. You can expect to pay somewhere between $12.00 and $20.00 for any of the filters. Commercial filters are more (like about $80.00 for a five-gallon size). If you want a kit (like the hiker’s kit or a cold brew setup), you’ll pay a little more. The Coffee Socks I ordered came in a long, thin cardboard box with lots of good information on the outside. Despite limited space, I felt completely confident that I knew how to use and care for the Coffee Sock without going online to look anything up. I drank the coffee black each time I tried it. 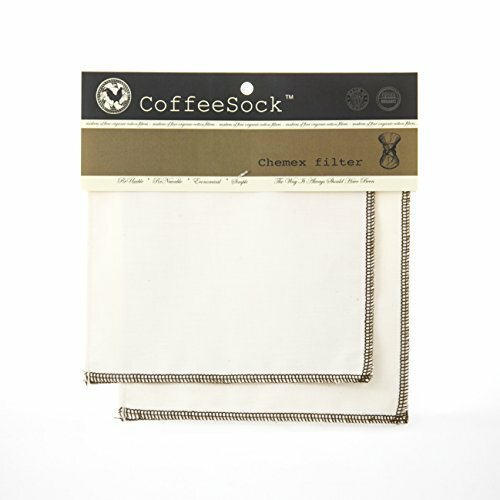 The first time I used theCoffee Sock, I was in awe of how “clean” my coffee tasted. I suspect that it really did hold onto some of the oils that would’ve made it through a paper filter. The coffee was less complex, but shockingly good. I was sold. My giant cup of coffee tasted the way it does when I get it straight from the café where the roast the beans. The second time wasn’t as pleasant of an experience. Instead of a clean taste, something just tasted “off.” There was still a lack of complexity, but this time it was almost as if I could taste the fabric. Maybe it was an effect of old coffee oils that were caught in the filter despite the fact that it had been thoroughly rinsed after the last use. I’d almost given up on it at that Cup #2 point, but I decided to experiment with it some more. I wanted to test it more before putting up an official review. Good thing I did. The third cup was just like the first one. I have no idea what happened. The Coffee Sock was emptied and rinsed each time, with no boiling between the second and third cups. I just wanted to throw that bit of information in because I don’t want people to buy it, try it a handful of times, get to a bad cup as I did well before it’s time to boil the Coffee Sock again and toss it in frustration. Coffee Socks aren’t just for traditional Chemex brewing. 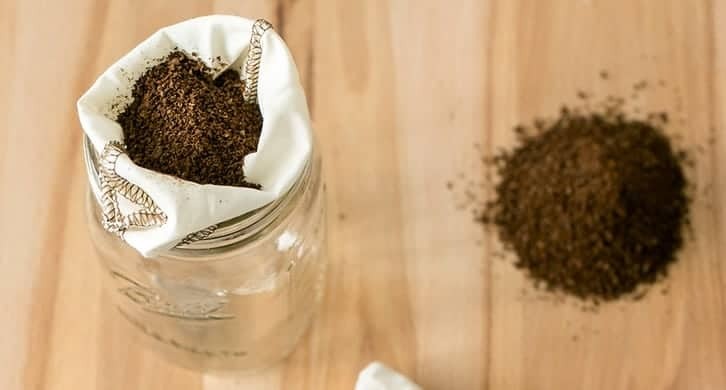 In addition to cold brew filters meant for at-home use, there are options for hiking and commercial use. 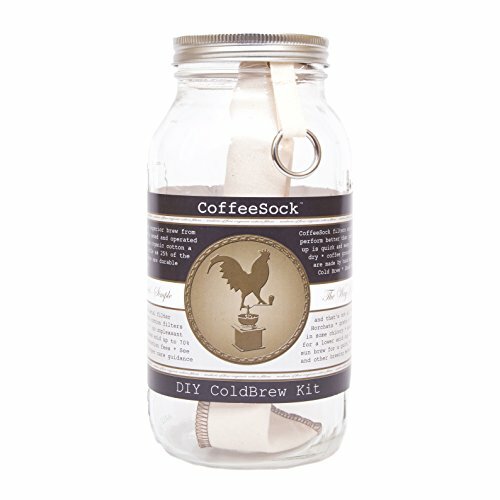 Get a kit with a jar, water bottle, extra-large container (commercial) or just get the Coffee Sock itself. Yes, hikers! I love how thorough this company is. When I went camping, I wondered how we were going to make coffee. It all worked out in the end, but the Coffee Sock would’ve made things so much easier. The cold brew option fits a wide mouth Nalgene or Klean Kanteen bottle. Make it overnight or during a long hike (it takes six to 10 hours). Unfortunately, there’s no hot version other than the handheld travel filter. That one’s not specifically for hikers, but you could probably make it work if the hiking is part of a short camping trip and you’ll have a way to heat water. Of course, if it’s just a day trip, make your coffee before you leave and then put it in a dependable travel mug that’ll keep it hot as long as you need it to. Beyond the Coffee Sock itself and all the kits that can go with them, the website offers accessories, too. Pick up a gift card, bottle, wide mouth lid, sink strainer, a hanging chain for drying Coffee Socks, spice packs, or even a little coffee or tea. If you need a type of filter you don’t see on the site, you can send them a message and have them make one that will fit your needs. 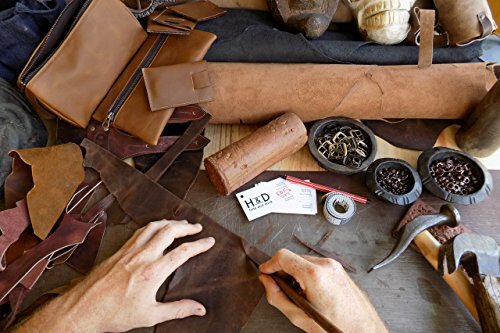 That’s the beauty of a handmade product and a company that cares. This means there’s pretty much no reason not to try a Coffee Sock if you’re interested. This seemed like a product with only a list of pros at first, but there are some cons that can’t be ignored. You’re going to save money because you won’t have to buy paper filters all the time. They claim that one Coffee Sock replaces 500 paper filters. That’s a lot. In my experience, this is especially nice because I either have to remember to place an order or drive an hour (round trip) to get more. You’re creating less waste, which is good for the environment. The cold brew kit looks especially nice. It’s just as easy to use as the paper filters when it comes to the coffee-making process itself. There’s a wide variety of Coffee Sock versions to choose from, so it should work for you no matter how you like to make your coffee. I was surprised to see them for anything but pour-overs. You’ll need somewhere to let them air-dry because you can’t just stuff them back in a drawer when you’re done. It’s slightly messier than a paper filter because you can’t just pick the whole thing up and throw it out. You’ll have to dump the grounds, shake out the excess, rinse, and find somewhere out of the way for the Coffee Sock to drip dry. It works. But you’ll have to do a little work too, from time to time. You will need to boil it. It is a little messier than paper filters. But is that all worth it for a better environment, savings, and a cleaner-tasting cup of coffee? I think so. I’m impressed, even with the risk that I’ll get a repeat of my experience with the second cup I made from time to time. At first, I thought I’d save the Coffee Sock for special occasions because it was a pain to deal with, between the constant boiling (that turned out to be unnecessary) and waiting for it to dry. I could stand to use it daily now, and I love that it makes my coffee-making experience seem more like a lovely ritual than the paper filters do. Now I want to try one of the cold brew kits. Previous Post: « Long Black vs Americano: Which is Best?